This article originally appeared at Alternet.org. There was a time during the Vietnam War when this cruel approach mattered to Americans. The answer, which should be obvious, is this: because that’s what the United States military does and always has, that’s why. There are peace-loving nations in the world. The United States is not one of them. It never has been. The belief that our “freedom” requires the application of violence to others, especially others who are not white, is deeply embedded in the national psyche. The genocidal idea that the best Indian is a dead Indian precedes the Revolution of 1776. The violence required by the slave trade and the enforcement of slavery itself was also established early on. The founding fairy tale of the United States credits George Washington and others with nobility and heroism in the violent conflict with the British Army. Often ignored is the messy detail that many Indians and black people fought on the side of the British. The point is that the true military DNA of the nation is rooted in the nonstop business of slaughtering Native Americans, rebellious slaves, Mexicans, Hawaiians, Filipinos, innumerable Latin Americans, Asians, and sometimes even white people deemed to be in the way of our “God ordained” global mission. One requirement throughout has been worship of those who serve in the military. Another has been indifference to civilian targets. The use of nuclear weapons on Hiroshima and Nagasaki is one of the more recent markers in the unbroken history of disregard for civilian life. The US wars on Korea, Viet Nam, Cambodia and Laos extended the pattern. Again and again the end is deemed sufficient to justify the means. That is not just the culture of the military. It’s the culture of the culture. Unlike any US war before or since, the war on Viet Nam, Laos and Cambodia engendered mass opposition. 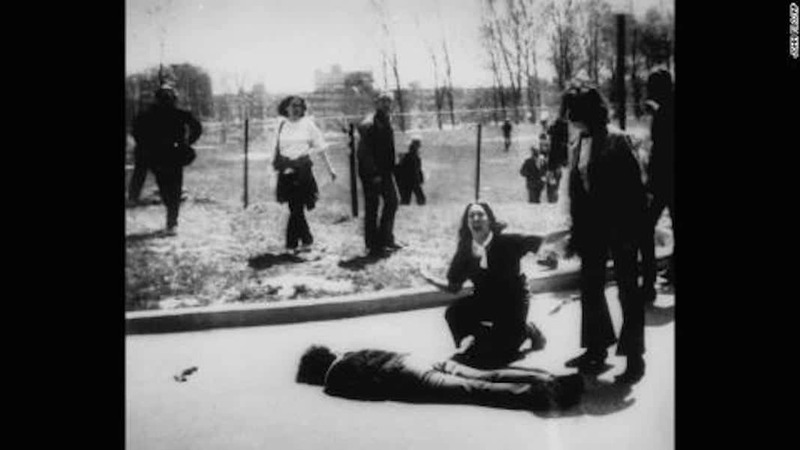 A cornerstone of the movement was revulsion over civilian casualties. Television reporting is often given credit for raising awareness of the brutality of the war. Doubtless that was true. The Pentagon certainly believes so and it has devoted enormous resources to managing media coverage of US wars differently ever since. In retrospect, the extent of the civilian slaughter in Viet Nam was actually underreported. HUE 68, a remarkable new book by Mark Bowdin, is spellbinding reading for those too young to have experienced the war and for those who lived during it. “The man was trying to raise himself. He was on one knee. Lefler emptied his magazine into him. Lefler was shaking like a leaf. His squad mates hooted their approval. In that passage and others Bowdin provides a vivid account of the US military mindset throughout the war. His book adds powerful new detail and context to the ugly history that includes the My Lai massacre and many other atrocities in Viet Nam, Cambodia and Laos. “These days in the third week of the battle were the worst. Both sides were bloodied and many of the city’s residents were dead or hurt or in hiding. The marines were using flamethrowers to burn bodies on the street, mostly in an effort to control the stench. Hue had become a city of the dead. Bowdin is no apologist for the role of the Vietnamese in the slaughter. But in the epilogue and interviews about the book, he clearly makes the point that within the US government, including the military, there was virtually no concern over civilian casualties. Within the Vietnam antiwar movement there was. Fifty years ago, the very idea promoted by the Vietnam antiwar movement that civilian lives “matter,” was a complete rupture with what had gone before. That’s why the opposition to the opposition was so emotional. It still is. Regression to the Mean. Pun Intended. The effort to recover from the war aversion known as “Vietnam syndrome” has been much discussed elsewhere. Suffice to say that Ronald Reagan’s invasion of Grenada in 1983 and the many wars since have firmly reestablished the legitimacy of permanent war as the American value that supersedes all others. What comes along with that territory is regression to the mean of obsequiousness to all things military. We are expected to applaud soldiers on airplane flights, thank soldiers for their service, pay tribute to them at sports events and display other forms of worship ad nauseam. 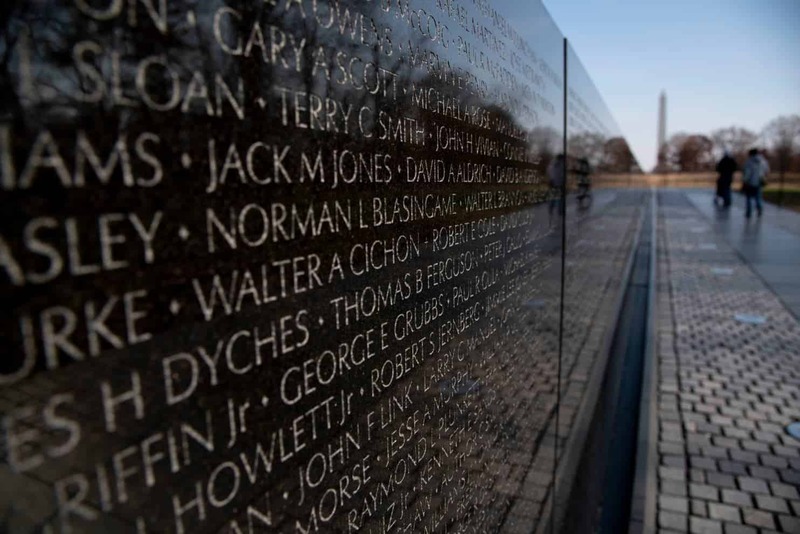 Even so, honoring Vietnam veterans remains an ongoing and specific project. It’s no surprise that the Pentagon is motivated to honor the military service of those who served in Viet Nam, Cambodia and Laos. But other shapers of public opinion are involved too. 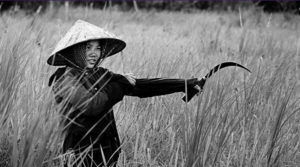 The New York Times is running a yearlong Vietnam ’67 series. It is heavy on praise for military vets and very light on antiwar points of view. 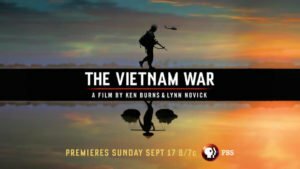 Based on preview screenings, op-eds and appearances made by producers Ken Burns and Lynn Novick, it is clear that Vietnam era vet worship will get amped up even more in their forthcoming 18 hour PBS documentary on the war. Centuries of white supremacist slaughter and brutality, at home and abroad, have accumulated into a spectrum of shared consciousness that incudes war glorification, indifference, delusion, denial and numbness. 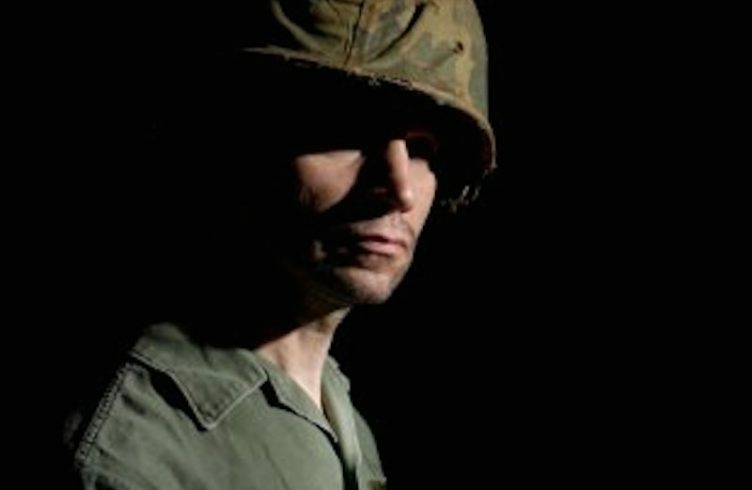 What to think about Vietnam war veterans remains an acutely unsettled question. Personally, I never called a soldier, or a veteran, a baby killer. I never saw anyone else do so either. For one thing, I knew that many were themselves antiwar or might become so. However, as an early and committed antiwar activist and draft resister, I did chant, “Hey, hey, LBJ How many kids did you kill today?” countless times during antiwar demonstrations. So did millions of others. To be sure, most vets got a rough deal during and since the war. For that they deserve sympathy and support. But still. Can we keep even a tiny measure of perspective about this? Like the Civil War, the Vietnam war made moral alternatives clear for all to see. During the Civil War you were either for secession or not. Young men and their families had choices to make. The decisions were often painful and divisive. So too with Viet Nam. Julian Bond, Grace Paley, Benjamin Spock, Alice Herz, Cora Weiss, Rev. Dr. Martin Luther King, Jr., Joan Baez, Muhammad Ali, religious leaders of all faiths and millions of others said as loudly as they could that the war was immoral. And because there was a vigorous and very public draft counseling movement, everyone knew that there were multiple ways to avoid fighting it. In a nation that like no other extols personal responsibility, let us be clear that those who fought, or supported the fighters, decided to do so. They made a choice. 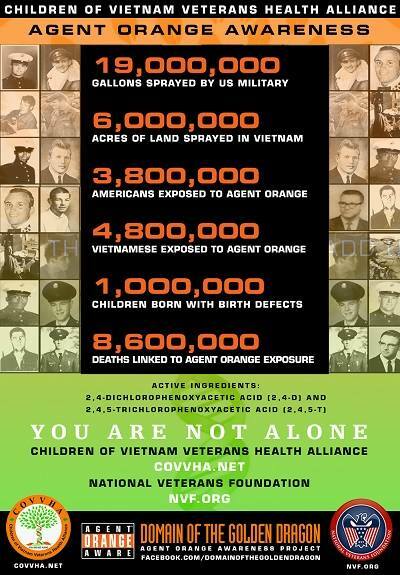 A good number of them chose to spray 20 million gallons of Agent Orange on Viet Nam, Cambodia and Laos. The effects of that alone cause pain and suffering to this day, including to veterans themselves. Collectively, Vietnam veterans killed millions, the majority of whom were civilians, many of whom were in Cambodia and Laos with whom we were not at war. Some participated in flat out massacres, most of which were never reported. Yes, probably some soldiers were called baby killers back in the day. Why? Because a good number of vets were directly and indirectly involved in killing babies, that’s why. 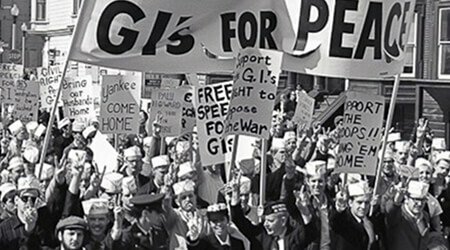 Antiwar activists did not want to pretend otherwise or honor that service. Oh, and there’s also the question of, for what? The Vietnamese never say they won the war, only that they defended their country. And that nobody won the war. But by any conventional measure, Vietnam veterans, together with their Presidents and generals LOST the war. Yet for all of this, some veterans and their advocates complain that they are not sufficiently venerated. Some still express hostility toward the anti-war movement and claim that we prevented you from “winning” the war. Others say that in the name of “healing,” those who worked diligently to save you from yourselves and your misleaders now owe you some sort of apology. Indeed, an especially powerful moment in the upcoming Burns/Novick documentary features a self-described antiwar activist named Nancy Biderman tearfully apologizing for having called soldiers baby killers back in the day. Is there a “we’re so sorry” from Dow Chemical or Monsanto? Has the Congress appropriated funds to clean up all of the Agent Orange residue and un exploded ordnance in Viet Nam, Cambodia and Laos? Is this healing a one-way or a two-way street? And suppose for a moment we could again value peace as we did 50 years ago—wouldn’t it make sense to worship war and warriors less, instead of more? But we don’t have a draft, some say, so that can never happen. Not so. Frank Joyce is a lifelong Detroit based writer and activist. He is co-editor with Karin Aguilar-San Juan of The People Make The Peace: Lessons From the Vietnam Antiwar Movement.